Cold Steel Voyager Tanto: Recommended! 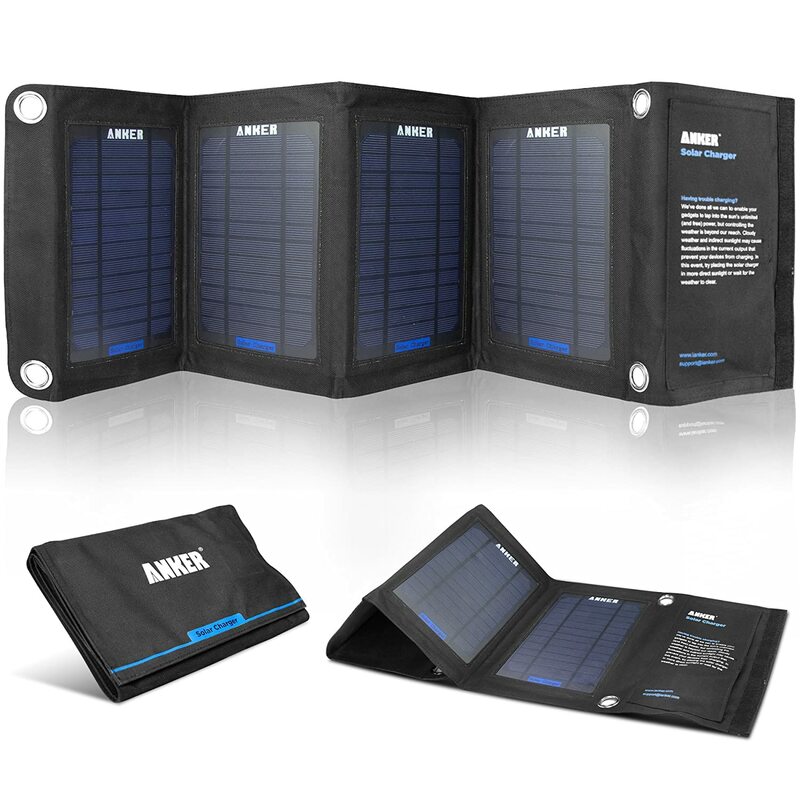 Tough, Great Value Folder. Folks, my book “The Modern Survival Manual: Surviving the Economic Collapse”, made it yet again to #1 Best Seller in Disaster Relief today in Amazon. I just wanted to thank all of you for your support. You guys are fantastic. If you haven’t picked a copy yet consider doing so. 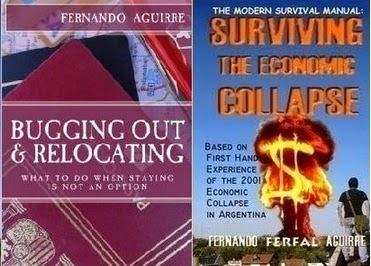 I’m confident it’s a useful survival manual for these trying times and most of the urban survival strategies regarding economic collapse, inflation, security, self-defense and practical preparedness are applicable both before and after SHTF. And these things are very advisable but one thing I see them doing is isolating themselves from neighbours who might actually be helpful to be on good terms with. I am from rural Montana and for some reason this region attracts a very large number of anti-social bunker dwellers and militia types who I feel quite frankly arent just preparing for disaster, but are praying for one. I am a marine infantryman and have spent considerable time in war zones, disaster areas, and places where mob-rule, drug lords, or organized crime are the closest thing to law that people have. This idea of the rugged individual standing atop a pile of MREs and ammo in a heroic last stand seems to be a distinctively american one. Ive been in many firefights, armed stand offs, even spent 6 hours being hunted by a sniper once. I can say that none of the things I have survived, nor locals ive seen surviving did so soley because of their ruggedly individualistic defiance and personal grit. I lived because I had a unit of good men I could trust watching my back as I watched thiers and most locals were very self reliant, but they were always networking with each other for the things they couldnt make or get by themselves. "help me dig this well and I will help you fix your car"
"If we hear shooting at your house we will come if you will do the same for us"
"If anyone sees the rebels coming everyone call everyone else"
"We can all pool money for a set of solar panels to charge our batteries"
In one case where our patrol was mistaken as hostile I actually saw a 12 year old boy initiate a "phone tree" which was able to evacuate a village of 2,000 people in 20 minutes, an hour later all villages in that valley had sought refuge in the surrounding mountains, they finally emerged when we convinced them we werent there for hostile purposes. I think it is a very good idea to address community as a survival strategy, because I can and do tell a lot of these lone rangers my experiences in combat and hostile environments "It doesnt matter how good a shot you are or how many guns you have buried in your back yard, if 15 people decide they are coming into your house the best you can do on your own is run, or die for a pile of food and ammo"
Im not saying people and thier neighbours need to go full vigilante, but maybe setting up a watch, a community fall back area, or early warning phone or hand held radio system could be a much more sound tactic than re-enacting their favourite rambo movie. These days everyone with a keyboard and internet connection is a survival expert, so that kind of misconception is pretty common. People think they’ll be safe because they live far from cities, that an economic collapse won’t affect them because they grow their own food (guess, they never heard about people losing their farm to the bank) or that they’ll never need to evacuate their home “because we already live in our bug out location” (which by definition is impossible, given that a BOL is where you go when your primary residence is compromised). The thing is, people think these things but they’ve never actually had to try them for real. They think this or that will work out a certain way “when SHTF”, but they’ve never seen what happens when SHTF for real nor have they seriously researched the topic. The kind of personality you describe is very common in our community. In most cases its people that have problems socializing, they just don’t like people and they rationalize their personal preferences by convincing themselves that isolation is in some way a wise preparedness strategy. Of course, as you correctly state, that’s not the case. Being isolated and being on your own only makes you an easier target. Even if you fortify your position so as to not be a “soft” target, being a lonely tough nut only means no one will hear you when you crack. If anyone has managed to make the solo bunker idea work, its simply because they never had to actually put it through a real large scale disaster. It will not work long term with severe crime and social unrest. Its like my 7 year old’s cardboard and tape spaceship: It’s a fantastic spaceship as long as you don’t actually use it as one. Within a socioeconomic collapse, which is the area I have the most experience with, I can assure you that you’ll need all the help you can get. With finding employment, with getting some help with the house and kids when you’re studying or working and just not around and you definitely need help regarding crime, everything from neighbours watching after one another, to hiring security or organizing a neighbourhood watch. Having said all this, you will not always get the help that you need. Expect to be disappointed. A lot. In fact 9 out of 10 people will not be there for you when SHTF in spite of what they promised earlier. I have a handful of real friends, that have invited me and my family to stay at their home for as long as I need it and actually meant it, a friend that would literally catch a bullet for me, and I’ve met people that have let me down even with the smallest favour. A person I though was a friend did just that when I asked for a small favour. He got back to me the following day explaining he couldn’t do what I asked, but if I was ever caught in a mountain in the middle of a snow storm he would gladly drive up there to save me. We don’t get to pick the kind of help we need, that’s kind of the nature of a situation which involves asking for a favour. My advice would be to see if you can count on people for small things first, something that maybe isn’t a big deal and you could easily take care of yourself, but still ask just to see if your friendship is real or not and if you can count with that person. If they don’t come through for the little things you then don’t expect them to be there when SHTF bad. When there’s considerable socioeconomic unrest, then there’s other factors to keep in mind. Maybe some people maybe CANT help you, even if they want, because they have their own problems and are already way over their heads. Then again, some people may pleasantly surprise you, maybe people you never expected much of. You just have to put yourself out there and make friends, make connections, test them and see what you’re working with for real when the chips are down. When SHTF, you’ll need all the help you can get and so will the people around you. Given that in most cases people will not be as dependable as we’d like, all the more reason to work harder at it, build and strengthen those relationships with friends, family and neighbours. “Catastrophic” is a word sometimes overused by the main stream media, but in this case it is the strongest storm in recorded history. Hitting Mexico right now but moving northeast, people should prepare for structural damage, extended power outages and flooding. For those in the area make sure to frequently check the news so as to stay updated. Trucks carrying Russian humanitarian aid cross the Ukrainian border at the Izvarino custom control checkpoint on August 22. More accounts from people living in occupied Eastern Ukraine. Part 2 with some more comments and thoughts, check part 1 as well in the previous post. In no way do I intend to portray myself as a great visionary. There are more than enough candidates for the role of "civil war prophets" as it is. What I want to say is that, as early as June, I intuitively felt that all this would not end quickly, that the conflict would inexorably cause the destruction of infrastructure and the loss of livelihood. FerFAL Comment: Its interesting to notice how often people will tell you they “felt” this of that yet didn’t act. While you can’t always run scared every time you think something may go wrong (and many preppers do this, bordering paranoid behaviour) a survivalist haw to know when to act on those gut feelings. War is most disastrous for city dwellers. Their survival depends not on whether cherries ripen on time in their garden but on whether they receive their salaries or pensions. I lost my job in June when my company shut down. Despite the shelling, I decided to look for another job in Luhansk. I turned to friends who were in a position to help. In other words, I acted according to my own stereotypes. Other people who are, like me, hostage to the situation have other stereotypes -- for example, a World War II veteran who lives close to my home. Until September, he survived on his savings and counted on his relatives for help. His relatives, however, left in June. In early September, he pinned his medals to his chest and went to the "Luhansk People's Republic (LNR) authorities" to demand the immediate payment of his pension (although no pensions have been paid to anyone since July). The LNR leaders simply shrugged their shoulders and said they couldn't do anything for him. In August, rumors began swirling that a humanitarian convoy was on its way from Russia. Everyone in the city began thinking about this convoy. People forgot about the war, about the bombs. All thoughts and conversations focused on the impending humanitarian aid. Finally, the white trucks arrived. Residents were told that receiving the aid was very simple. All we had to do was show up at distribution points with our passports. People almost murdered each other queuing up for these parcels. Rebels with machine guns restored order; there would probably have been casualties otherwise. FerFAL Comment: Also common is that the grass is greener on the other side of the hill. The city dweller think he has it tough because of unemployment while other people in Eastern Ukraine living outside city limits complain that they never get to the food distribution trucks in time. The economic mess also affects farmers, just like everyone else. What does a humanitarian parcel look like? It consists of two kilos of buckwheat, three cans of corned beef, half a kilo of sugar, and a pack of tea. I received humanitarian aid twice, and only because my neighbor queued up for me. Honestly, I could not have withstood a line of 300 people. This was the first time. FerFAL Comment: Take note: Flour, canned meat, sugar, tea. Also dry pasta, sauce and rice. The stuff that will keep you alive. The second time, the line had grown to 700 people. I know this because people wrote their queue number on their hands. My neighbor had a seizure because of the heat and I took him home. We eventually got the humanitarian parcels, three days later. I don't know how many people received these parcels, and how many times. I've heard that some people had permanent coupons. At some point I realized that this humanitarian aid wasn't worth the calories spent on receiving it and I stopped thinking about it. I held two jobs in the course of the siege. Then autumn came. Refugees started returning. Hospitals and schools reopened; many businesses resumed their activities. Entrepreneurs, whose livelihoods relied solely on cash inflow from customers, enjoyed the most advantageous situation. I won't go into the problems tied to running a business nowadays in Luhansk; they do exist. The situation for public-sector employees was, and is, much worse. The most fortunate receive their salaries in the shape of food rations similar in content to the humanitarian parcels. The question of public-sector salaries is still up in the air, since the legal status of schools and hospitals is unclear. The Ukrainian government's decision to relieve itself of financial responsibility toward employees of state-run institutions in Luhansk and Donetsk put an end to any hope of help from Kyiv. On the other hand, there is obviously no local source of funding for public-sector agencies in Luhansk. Many nonetheless continue to act in line with their stereotypes. They go to work in the morning, although they haven't been paid for almost six months. FerFAL Comment: Expect denial to be very strong. People just keep doing their thing desperately trying to gasp normality. It has unfortunately become fashionable to consider that all those who stayed back in the rebel-controlled territories are pro-Russian morons and accomplices of terrorists, that all decent people fled a long time ago. It has become fashionable to state that this "cut-off slice" must be left alone, that there's no point fighting for it. Let them die out there in their "Russian world" they wanted so badly. Unfortunately, this stance is not only misguided, it is also harmful -- both for those living in the occupied territories and for Ukraine as a whole. 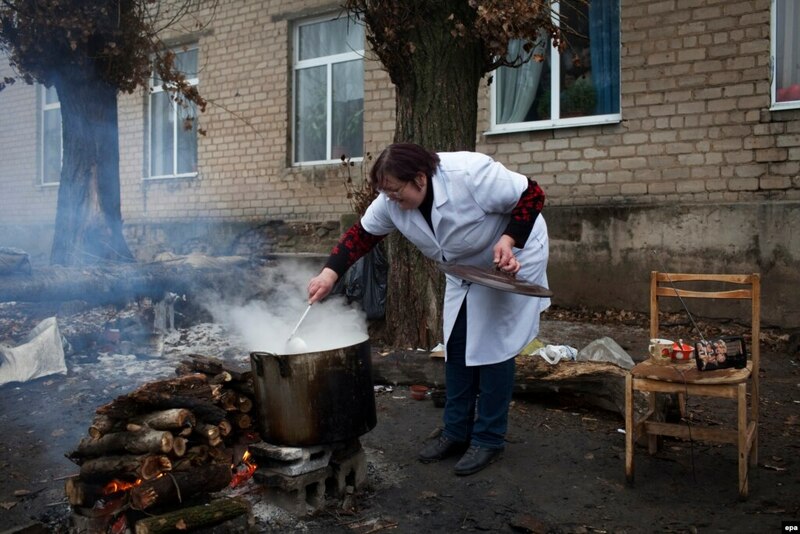 A nurse cooks on an outdoor fireplace due to the lack of gas inside the Mental Hospital N1/4 2 on the outskirts of Donetsk in December. Firstly, as long as these armed pro-Russians continue to run the show here, there is a real threat of war for the rest of Ukraine. This cannot be denied. Freeing all the territories is the only hope for solid and lasting peace in Ukraine. Secondly, there are, indeed, many of these morons here. Many more than some would like. But there are also numerous pro-Ukraine residents here who didn't participate in the referendum and the pseudo-elections. Yes, we in Donbas have our "own way" of loving Ukraine. Not all of us approve of monuments being knocked down in our cities. Far from all of us regard the [World War II-era anti-Soviet] Ukrainian Insurgent Army and [Stepan] Bandera as heroes. Many of us believe Russian should enjoy the status of second national language in Ukraine. And no, let's be honest, not all of us supported the Maidan protests. We are, however, united by the desire to live in Ukraine, and we have not backed the separatists in any way. Today, in occupied Donetsk, former "anti-Banderas" supporting Ukraine's territorial integrity shake hands with "Banderas"; advocates of dual-language status shake hands with supporters of Ukrainian as the sole official language. Do you understand what is going on here? Here in Donetsk, we are uniting, which is almost unprecedented, while in "mainland Ukraine" we often hear that we don't exist and that we must be "let go"! On December 26, the rebels released about 150 Ukrainian fighters. Many of them were local men. Just look at pro-Ukrainian local groups on Facebook and Twitter! You will find very few (if any at all) real names and surnames, but behind every pseudonym stands a real Donbas resident, a Ukrainian citizen who wants to live in his country! Read what they write! Feel the mood that radiates from their conversations, which offer them a psychological escape from what is unfolding in our cities. Please answer this question: What do these people, who are not guilty in any way toward Ukraine and its people, who live in areas where their country cannot protect them, who wake up and go to sleep every day with the knowledge they can be "picked up" and killed any minute, who are robbed and humiliated by pro-Russian militants, who have no means of publicly voicing their opinions, who are still clinging to the hope that their land will be reunited with Ukraine, what do these people feel when they hear that "all of them out there" must be barred from either entering or leaving, that they must be contained by moats and barbed wire, and deprived of electricity and gas? You must answer this question not to me but to yourself. An elderly woman pulls a cart with firewood near the Donetsk airport in November. And why then, when some claim that "only accomplices of terrorists remain out there, all the decent people have left," are these "decent people" unable to find rented accommodation and employment? Where are they supposed to go when citizens of this united Ukraine treat them like lepers and don't want to have anything to do with them? Thankfully, such behavior is not the rule, although it's far from rare. Sooner or later, the occupied parts of Donbas will return into Ukraine's fold. We have absolutely no doubt about that. Our country will be united again. But every one of you, brothers, must understand that, while we wage a ruthless war against terrorism, efforts must already be made to win the minds of residents in occupied territories instead of thrusting them aside -- even of those who are now hostile to Kyiv. With those who have illegally taken up arms, the talk can be short -- they must, and they will, bear responsibility for participating in a terrorist organization. But sooner or later, a peaceful coexistence will have to be established with the others, those who did not hold weapons in their hands, however "strange" these people may appear today. FerFAL Comment: Probably fuelled by a strong dose of “The Walking Dead” , common among American preppers is this WROL idea, thinking that during this “without rule of law” period everything goes. Not true. Eventually law is restored and eventually you will have to answer for your actions. That’s how it always goes, sooner or later. The lesson? Always stay on the right side of the law. If you have to defend yourself, make sure to take pictures, names of witnesses and make sure you know who you will call to back your side of the story when the police eventually knock on your door. Forget the WROL nonsense, they will knock on your door eventually. The battle for Ukraine is not only waged on the front lines. It takes place in heads and hearts. Let's decide what is more important for us: that Ukraine be united again or that "people out there die from their stupidity"? Believe me, it's much more difficult for us here to watch this "stupidity" than for you. But it will pass. Just remember how you traveled to Donetsk for Euro 2012. What unity with the whole nation could be felt back then in the streets of Donetsk! What's taking place in the heads of some Donetsk residents today is the result of Russian television propaganda. Why are people buying it? It's hard to say. After all, more than 100 million people are "buying it" in Russia. But it will pass. When every one of us -- instead of seeking revenge against peaceful fellow citizens whose city happened to be occupied -- asks himself how he can help us, then we will know for sure that peace and Ukraine's return to the occupied territories of Donbas are within reach. And yes, as soon as the war ends and it will be safe again here for all citizens of Ukraine, I promise to invite all of you, brothers, and give you a tour. In telephone conversations, my friends and I try to avoid answering any questions. You can feel the constant fear that people have of the new authorities, and life in this city is far from easy. Even before the new authorities came, this city was depressed and dependent on state subsidies. The only successful businesses here were the Snezhnyansky Machine-Building Plant, a local branch of the Zaporizhzhya firm Motor-Sich, and the Zarya mine. Pensioners make up most of the adult population. And as it turned out, those retirees ended up forming the main social basis for the separatist movement. Payments to those dependent on the state budget were chronically in arrears. Local authorities tried to make the payments by taking short-term bank loans. After Russian forces entered the city in early June and Prime Minister Arseniy Yatsenyuk personally ordered local accounts blocked, residents seemed condemned to a hungry death. And in Snizhne, this happened more quickly than in other towns in the region. In September, when the cease-fire was signed, local pensioners traveled en masse to Ukrainian-controlled territory to reapply for their pensions. 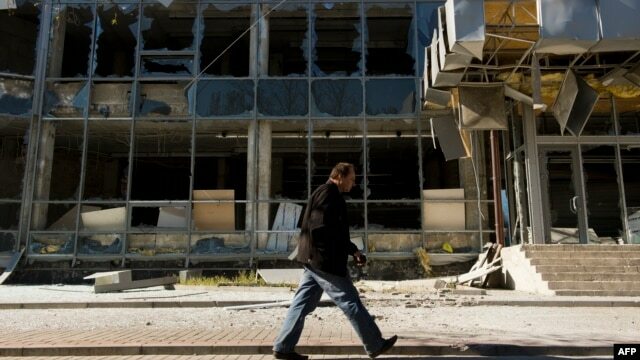 However, in November, the government announced a complete financial and economic blockade of the territories within the zone of the antiterrorism operation (ATO). They stopped paying pensions and other social benefits to all except those designated as displaced. All the bank machines were shut down, as was Sberbank. 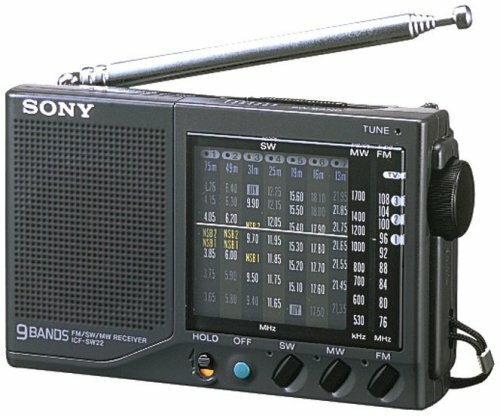 This led many pensioners to despair. There were sufficient groceries and other goods in the stores and at the market, but they couldn't buy anything because they had no money. FerFAL Comment: Again, the same problem. The problem of not having enough money. Over the last couple of weeks, anger has been mounting among the elderly and miners. And this anger is directed at both the authorities of the "Donetsk People's Republic" (DNR) and Yatsenyuk's government. Some angry reactions were provoked when several buses carrying miners were barred from traveling to Zaporizhzhya, in the zone controlled by the Ukrainian military, to pick up their salaries from banks there, where they had been sent months ago. They were stopped at a Ukrainian military checkpoint. There is a lot of talk about the "checks" of trucks with foodstuffs at Ukrainian checkpoints. And there is some evidence about "confiscations." A businessman named K. spent 40,000 hryvnyas ($2,500) in Dnipropetrovsk on supplies for his store. But he was detained and forced to hand over all his cargo to a distribution center. Ukrainian authorities, too, are heavily criticized. Pensioners often complain about the huge lines to register in the areas controlled by Ukraine and about the bribes it takes to get service without queuing up. In Kharkiv, for instance, one pensioner waited his turn for two weeks before "settling matters" through people he knows. FerFAL Comment: Don’t expect much of a fair treatment from the occupying force that invaded your country. My advice? Get the hell out of there before you’re surrounded! Huge lines of pensioners form in front of the former office of Privatbank, all seeking financial help from the DNR. It works like this: You take a coupon for assistance at the social-security department and then you bring your coupon and get money. There is no information about how many people are served each day. Sometimes lines form outside the city at branches of Sberbank or Ukrpochta as rumors spread that they are handing out money. People talk all the time about the shelling around the city. DNR representatives are tight-lipped about the reasons for the shelling and who exactly is doing the shelling, and this silence creates panic. People speak of columns of Russian military vehicles passing through the city. But for the most part, people are afraid to express their views openly. Medical workers are unhappy that teachers and artists received money, but they didn't. Social workers still haven't seen a kopeck. But most pensioners are still hoping for Russian pensions and for the DNR to be admitted into the Russian Federation. And so they give their moral support to the DNR. I am a Donbas native. I am an ethnic Russian. I speak both Russian and Ukrainian fluently, although I consider Russian my mother tongue. I was never anti-Ukrainian. I always took Ukraine for granted, a fact I considered neither good nor bad. I saw to which abyss Vladimir Putin was leading Russia all these years and I had long stopped associating myself with this country. To quote the famous Yevgeny Kiselyov (not to be confused with Dmitry Kiselyov! ), I will say this about myself: "I am a political Ukrainian." I highly valued the civil rights that I enjoyed as a Ukrainian citizen and that Russian citizens have long been deprived of. By the way, I always thought people did not sufficiently appreciate these rights and understood this would inevitably lead to attempts to take them away from us. FerFAL Comment: Huge point right there. If you don’t appreciate your rights, one day you wont have them any more. A professor once told me rights are like muscles, if you don’t exercise them often you lose them. He was right. I was never a fervent Ukraine patriot. I never felt any particular emotion when I saw a Ukrainian flag. I did not like the anthem much and I definitely never liked nationalists. But I was always interested in Ukrainian culture and against splitting the country. Then came spring 2014. It was a time of unabashed idiocy and surrealism. Aggressive "defenders of Donbas" appeared in the streets and began assaulting residents of this very Donbas. Before they received weapons (at least officially), they used antifascist slogans to attack peaceful demonstrations by pro-Ukraine Donbas residents. I remember one of their statements online. It read: "Fascists will rally on March 13. Let's meet them. Take surgical instruments with you to rid them of their Ukrainity." These words were taken literally. FerFAL Comment: Propaganda, violence instigation, social division. All powerful tools used often. What is this, if not fascism? On that day, thousands (!) of people rallied in Donetsk for a united Ukraine. The demonstrators were attacked by the "defenders of Donbas." They were severely beaten up, maimed, and activist Dmitro Chernyavskiy was stabbed to death. It was a time during which ideas were distorted in a horrific manner, perhaps even more than now. Anyone who opposed Ukraine's division was automatically branded a fascist, a "Maidanut," a "Banderovets," a subhuman. Even if you had never been a fascist, did not support the Maidan protests, and were not a [Stepan] Bandera follower, it was all the same to them -- you were an enemy. A man shouts during a pro-Russia rally near the regional government building in Donetsk in April 2014. During the hysterical euphoria that followed the takeover of the regional administration building, it was wise to avoid this rabid crowd. You would have had no chance of a fair trial, lawyers, presumption of innocence. You would have had no chance to even be heard. The crowd demanded that fascists be dealt with, and the harsher the punishment the better. Rules against the retroactive effect of laws did not apply in the "Donetsk People's Republic," either. All those who participated in the Euromaidan protests (both in Kyiv and Donetsk) were retroactively declared enemies and "sentenced to death." Once the bandits got their hands on weapons, things really got started. A local lawmaker was kidnapped in Horlivka. His gutted body was found near Slovyansk. For what? Simply for opposing pro-Russian militants who tried to raise a Russian flag over the city council building. That's all! In Slovyansk, an elderly man was gunned down simply for bringing water to a Ukrainian checkpoint. Anyone who publicly expressed support for Ukraine was thrown in a separatist jail, or worse. FerFAL Comment: Flags, clothe colours, comments you make to a friend or neighbour, YOUR FACEBOOK comments! All of it can get you imprisoned or killed. By the way, fans of the "Russian world" were somewhat upset that their leaders confronted Ukrainian nationalism not with internationalism but with bona fide Russian nationalism, monarchical bells and whistles, and a boorish rejection of all things progressive. For some reason, this was called "antifascism." These "defenders" then proceeded to strip Donbas residents of their freedom of movement (they established checkpoints) and violate their private property (they freely entered flats and vehicles at checkpoints). It was precisely Donbas residents who were locked up, executed, deprived of their civil rights: free speech, freedom of conscience, and religion (Protestants and Orthodox believers of the Kyiv Patriarchate, for instance, were massively repressed in the areas controlled by the militants). These "defenders" brought war into the homes of Donbas residents, even though they were not under any real attack. They also went for Donbas journalists as soon as they got weapons. And all this happened before Ukraine's antiterrorism operation even began! It was because of their attempts to storm it on May 26 that the ultramodern Donetsk airport, which had cost so much to build, was destroyed. It is them, the fighters of the "Donetsk People's Republic," who confiscated the cars of numerous Donetsk residents (including Russian and Russian-speaking!). Businesses were raided, too. Many were forced to shut down because they had been looted by militants, and people lost their jobs. Because of them, banks and post offices no longer work. Because of them, our school and university graduates are receiving bogus papers instead of real diplomas. Because of them, there is no legal and social protection here and pensions and social benefits are not paid. Because of them, we have to live in this unrecognized "Donetsk People's Republic" that is not from Donetsk, does not belong to the people, and is not a republic. After just a month in these conditions, you understand how much you actually love Ukraine! We were elated to hear on May 2 that the antiterrorist operation was entering its active phase. 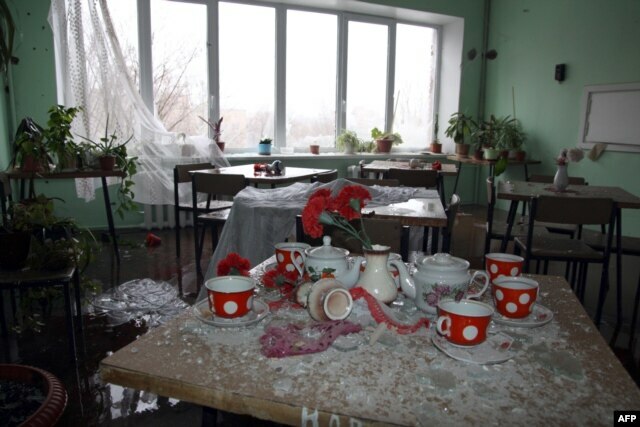 Shattered glass in a room at a hospital damaged by shelling in Donetsk in January. Unfortunately, our territories were not freed from the pro-Russians in August as we had hoped. But now, when I travel to the liberated areas and see Ukrainian flags and soldiers defending Ukraine, I feel a lot more emotional than before. I see that, a few dozen kilometers from our hell, our Donbas people lead normal, peaceful lives. They study, they work, laws and law-enforcement organs function. Yes, they are not ideal. But people there live in their country and they are protected. Right under my window, I can see separatists firing toward the airport. We very much want to believe they won't rule here much longer. I think I know one more reason why Putin just can't resolve to leave Donetsk, although all signs point to this being inevitable and necessary. He is afraid that, when the city is freed, huge numbers of Donetsk residents to whom he and his sidekicks inflicted so much grief will gather on the central square with Ukrainian flags. He is afraid of seeing this scene, because it will be the final nail in the coffin of his propaganda. 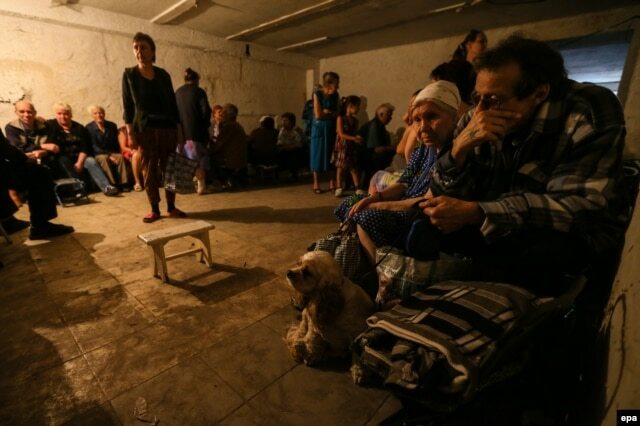 Many local residents describe Donetsk's bomb shelters as hell on earth. Dirt, stench, tears, and blood. Bunkers are full of makeshift beds covered with multicolored pieces of cloth and blankets and bed linens of various degrees of freshness. It's damp and cold. FerFAL Comment: As sad as bunkers may be, you’ll desperately need one if bombs start dropping. Heart attacks and strokes are common. But, of course, no data is available anywhere about post-traumatic stress disorder. Doctors are starting to talk about suicides. Nobody knows how many people died from the consequences of the war, either. Doctors say: "If no one can give us a death toll from the war, then we definitely have no idea how many people died from its consequences." In any case, there must already have been thousands of such indirect deaths. This lack of data is largely to blame for the state of bomb shelters. They are in bad shape, as rescuers and experts from the department of civilian protection and military mobilization already observed back in May. These services were discontinued precisely because there is no data. I was able to find out that the technical inventory of protective structures started by the cabinet of ministers in 2009 was scheduled to end this year. It was never completed. The available information paints a very bleak picture. Over half of the region's protective structures were inventoried in the past five years. In Donetsk, this figure represents 56 percent, including 88 percent of structures owned by the municipality. By law, some bunkers are reserved for people working in big companies, while others are for unemployed people. A woman waits in a shelter for shelling to end in Donetsk's Petrovski district on February 4. The majority of shelters were deemed uninhabitable. "These structures were built in the 1960s to the '80s," the Emergencies Ministry said last spring. "They were well-maintained during the Cold War era, but today they are outdated. The equipment doesn't function, for instance. 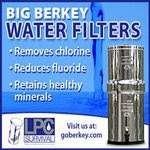 The filters of the ventilation systems need to be changed, etc." One should also bear in mind the fact that many bomb shelters fell into disrepair when companies shut down in the 1990s. Most of these companies were privatized. When disaster struck, people had nowhere to hide. If the Ukrainian Army had stormed Donetsk like the Russians once stormed Grozny, tens of thousands of people would have died. It did not happen, and so the situation with bomb shelters was tackled. Experience has shown that during emergencies, wars, or terror attacks, the state and number of bomb shelters play an important role. The commission's final conclusion at the time was the following: "The protective structures of companies such as the Donetsk Coal Energy Company, the Tochmash factory, the Donetsk Metallurgical Plant, the Donetsk State Factory of Chemical Products, and many other companies are not ready for use." This became a death sentence for some local residents. These are the areas of the city that saw the worst shelling. This is why basements and underground parking garages were turned into bomb shelters. So were the cellars of schools, houses of culture, and hospitals. Rescuers, however, are skeptical. "This is a place to wait out the danger," they say. "But in the event of a direct hit, it won't protect anyone. Even a proper bomb shelter won't." 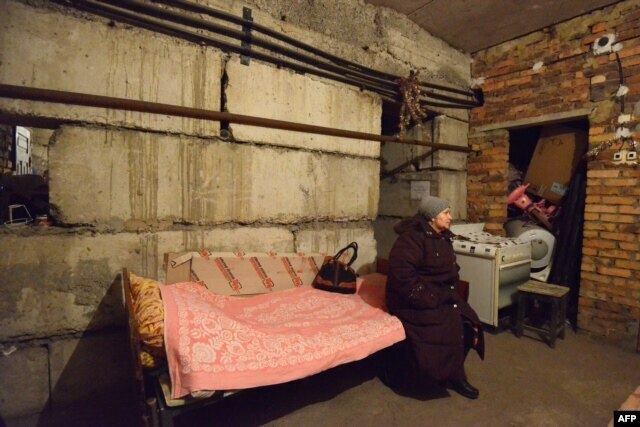 Even several weeks ago, Donetsk residents did not take the guidance on bomb shelters issued by city authorities seriously. It seemed like out of a war movie. Attitudes have since changed dramatically. The situation with bomb shelters in the areas at the epicenter of the fighting is dire. In the Leninsky district, which has been shelled from the Shirokiy suburb, there is only one equipped bomb shelter: in the 21st Party Congress-House of Culture. For many, it is simply too far to reach if shelling breaks out. Local residents say that basements are locked and that they have to run to shelters as explosions go off and shrapnel flies all around. "I need to run three bus stops to reach the [House of Culture]. If shelling started, we would not make it alive," a young woman told me. She was with two children ages 3 and 5. The youngest was clutching a doll; the other pressed a kitten tightly against her chest. You could see fear and despair in their eyes. Mafia groups are rumored to be running the bomb shelters. When the shelling starts, they let in only their own people and demand money from the others. FerFAL Comment: Even more reasons to a)have your own b)explore and find other viable shelter options c) Reach some sort of agreement with such people d)Quickly and discretely get rid of such people. There are several open shelters in the Budonyvskiy district, mostly basements on October Street. The only real bomb shelter is behind the Pushkin monument. It was built in the 1960s and is very solid, but it is unsafe to stay inside for long. It's damp, moldy, and the walls are moist with humidity. And so the bomb shelters have become their refuge. Even people whose homes were spared by the shelling are afraid of sleeping in them. They go to their homes only to wash and cook. They spend the rest of the time underground. This is how life is now in Donetsk. One resident described it this way: "We live in basements. We queue for humanitarian aid. Many people are sick, many are dying." FerFAL Comment: There is still more to come. Some information is more redundant but other comments have new, interesting perspectives. 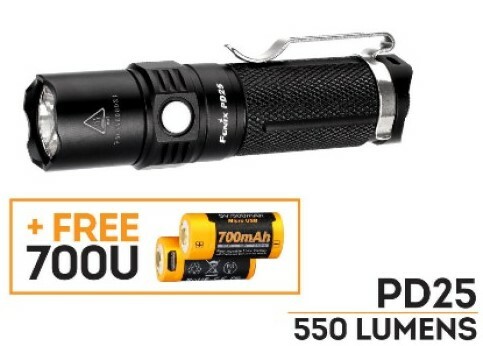 ThruNite Rechargeable TC10 V2 : It rocks, get yourself one! In reply to the article: What knife do troops, Army Special Forces and SEALs use? I rather enjoyed this thread. It’s been a good read & can tell who knows what the heck they’re talking about & the few who don’t. I’m a former USN man & a multi tool is what I needed, not a Rambo knife. When u work on the boiler, it leaves little time to sneak up behind the enemy & deliver the death blow w/some fancy $$$ fixed blade. As I’m now older, w/3 boys (grown-up but 1), I collect knifes from pocket bone handles folders to my safe queen SARGE 7 BUSSE. The knife I actually use is a “Pendelton Hunter”, from Cold Steel. 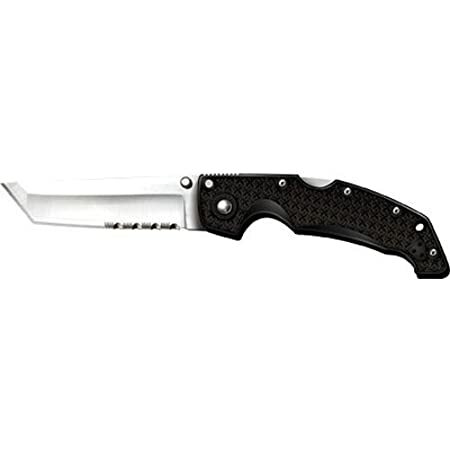 My boys use the $20.00 Throwing/Survival 550 chord wrapped handled Tanto’s from Cold Steel. They too have very expensive knifes I purchased for them as gifts to use, but they set in the safe along side my BUSSE. Any questions? lol It boils down to whatever is comfortable, priced right & has real world uses along w/not weighing 5lbs hanging off your belt. I don’t care what someone else carries because that does ZERO in helping me in a real world everyday situation. Or possibly what is coming down the pipe for the USA financial market. Be ready! Thanks Scott for sharing your experience. You mention knives that you keep in your safe, “Safe Queens”, knives, guns or other gear that, due to their value are kept safe but not really used much, or at all. I can’t say I fully agree with the idea though. I do have some collector’s pieces but anything that is production I’ll use. Sometimes you have antiques, or one of a kind items which I understand not wanting to use but for a functional tool like a Busse knife I’d go ahead and use the hell out of it. Of course I’m not criticising. Some of these items are pretty expensive. In the case of Busse knives I think they fall in that middle point. On one hand they are tough as nails knives which can take abuse few other knives will tolerate so my natural inclination would be to use it and have it ready for when its needed. On the other hand there’s people out there that truly collect these knives and they do tend to go up in value, especially when unused. My grandfather's pocket knife and "Black Widow" by Mariano Gugliotta.Two of my "safe Queens"
Still, this reminded me of a conversation I had with a guy in Ireland. I don’t remember the exact circumstances but I remember that I brought out my Leatherman Charge Tti, which is my EDC mulitool. The guy saw it and mentioned he owned one just like mine but left it home, never used it and used a cheaper and much lower quality multitool instead. That made no sense to me, why would you do that? He said something about not wanting to lose it. I guess what I’m going for with this post is to encourage everyone to use their best tools and gear even if they are expensive. Don’t be afraid of losing it or breaking it. Just be careful. There’s a world of a difference between using high quality gear and tools compared to some of the cheapest stuff floating around. A good gun, a good knife or multitool, it’s not only a joy to use, it’s also less likely to let you down when you need it the most. Busse knives and my EDC Leatherman Charge Tti. So sure, leave behind the antique, the one of a kind, but give it another try and see if you can convince yourself to start using that “safe queen”. The pleasure you get out of it is much greater when actually using it rather than staring at it every now and then. And who knows, maybe if you carry it all the time you’ll have it when it is needed the most rather than wish you had it with you. Is there a point to this little rant of mine? Yes there is. 1)It’s just a pleasure to use high quality gear. Ordinary tasks are dealt with better and faster. 2)During critical times, quality may be the difference between failure and success. Sometimes what’s in the line is the well-being of yourself and your family. 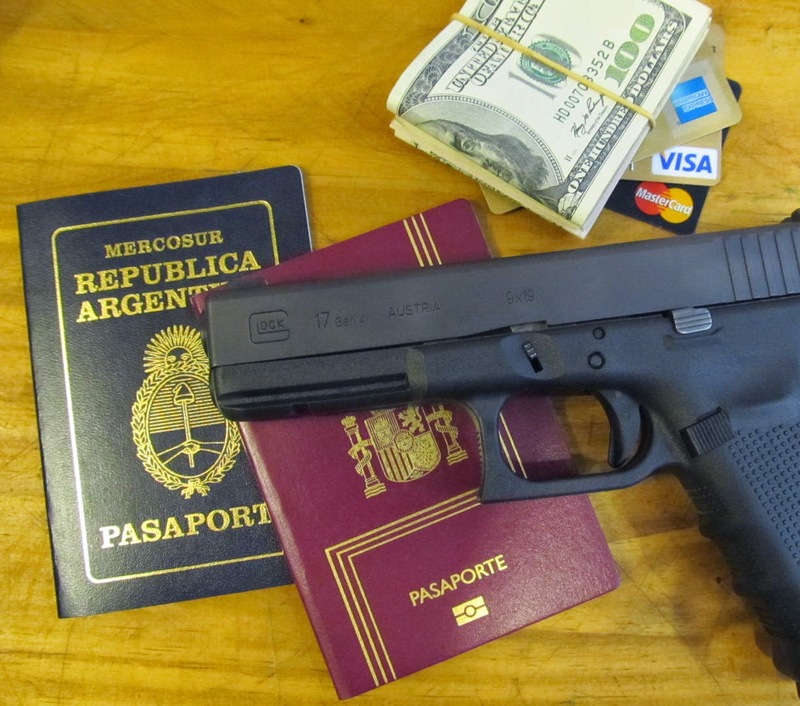 I always enjoy learning what great people carried in their pockets. Says a lot about them and there’s usually some interesting idea to pick up. What was Abraham Lincoln's EDC the day he was assassinated? Objects found in President Lincoln’s pockets: two pairs of spectacles and a lens polisher, a pocket knife, a watch fob, a linen handkerchief, a sleeve button, and a brown leather wallet containing a $5 Confederate note. Image courtesy of the Library of Congress. Knife, wallet, cash, handkerchief. Looks like good EDC for a President. If anyone has more information about those watch fobs that would be nice to know, please leave a comment. And one more thing: If there's a watch fob... then where's the watch? Hi Fernando, Thank you for all you do. You’ve helped me several times. Thought you’d appreciate this link. Hi J, thanks for the link. That’s interesting.There’s very few people in this world that I despise as much as this witch ( I usually use another word when talking about her, sounds similar but its less appropriate) but she pretty much nailed it from 18:20 to 25:00. This bloody game of arming and training your so called enemies has reached ridiculous proportions. The main stream media has to work extra hours if they expect the masses to keep believing BS of such titanic proportions.